Qvinci is a US based accounting solution provider offering finance reporting add-ons for third-party business accounting solutions. Qvinci enables multi-location businesses to collect real-time financial data and consolidate it at a central location where it can be used for effective financial comparison and analysis. The web-based solution offers tools for financial consolidation, reporting and benchmarking. Qvinci seamlessly integrates with QuickBooks, Xero, MYOB and Excel to automate data flow for adequate financial reporting and analysis. The solution serves five basic steps: gathering of information, financial data mapping, report generation, financial analysis, and business performance monitoring. Business users can store multiple files in one place and build a central repository for all units irrespective of their geographic location. Financial analysts can spot negative trends at an early stage and can avoid costly mistakes. The solution also provides tools to benchmark locations as per their performance over a particular duration and evaluate their performance in terms of goals & objectives met. The solution primarily caters to SMBs, large enterprises and non-profit organizations across various industry domains including banking & investment organizations, accounting & financial firms, and multi-unit SMBs. Whitefield Capital, Ford group, Apex Accounting Company, Freeman and 360 Accounting are among Qvinci's listed customers. The ability to aggregate multiple location's financials and perform side by side comparisons is very powerful for both the corporate level as well as the unit level operator. The graphics and analysis options make the information easy to understand and to compare. The maintenance of the standard chart of accounts is straight forward, but can be tie consuming depending on the lack of standardization within each of the reporting units. If the financial users at the unit level are not interested in comparing financial performance with their peer group, getting them to provide accurate and timely financials is difficult. If there is insufficient standardization of the chart of accounts, the comparability of information is much less useful. In the end, this product is only as good as the information coming in. If the corporate level company cannot enforce a standard SCOA, consistent accounting rules and compliance with the timing and accuracy uploading of monthly financial data, the real power of this product is not realized. great tool to make custom reports from my quickbooks from all my different clients and I can share all the information in my company for presentation and to provide reports to clients as well I love the fact that I can use it with Quickbooks and I am able to share reports with all my colleges and easy way to make custom reports. I love the fact that I can use it with Quickbooks and I am able to share reports with all my colleges and easy way to make custom reports. 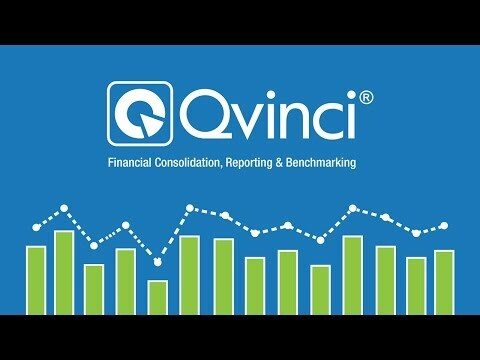 Contact a Solution Consultant to learn how Qvinci can provide you with industry-leading financial reporting that is surprisingly cost-effective. •	Automate data synchronization between Qvinci and other accounting tools to update financial information across various applications simultaneously. •	View key performance indicators (KPIs) and generate custom reports using Qvinci's user-friendly dashboard. •	Benchmark multiple business units based on the objectives they've met, and generate a ranking table accordingly. •	Configure the frequency for receiving financial snapshot emails which include transaction history, account summary, P&L statement and more. •	Display financial information using various native and standard charts to view financial data graphically. Below are some frequently asked questions for Qvinci. Q. What type of pricing plans does Qvinci offer? Q. Who are the typical users of Qvinci? Q. What languages does Qvinci support? Q. Does Qvinci support mobile devices? Q. Does Qvinci offer an API? Yes, Qvinci has an API available for use. Q. What other apps does Qvinci integrate with? Q. What level of support does Qvinci offer? Q. Which apps is Qvinci compared to most often?